Goal: Create a website that showcases all that Tampa Bay has to offer for a young entrepreneur or executive looking to relocate. 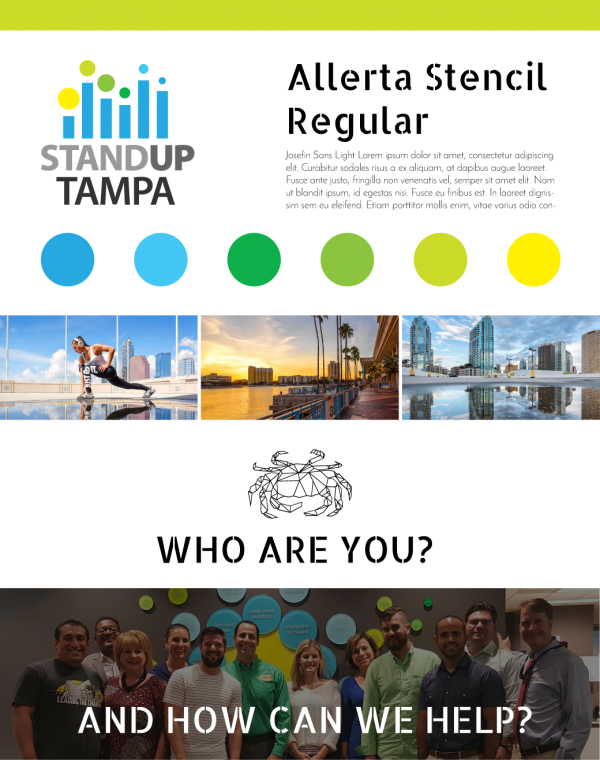 I’m currently working on a talent attraction site for Standup Tampa, the millennial entrepreneur board of the Tampa Hillsborough Economic Development Council. Our objective is to create the digital welcome mat for anyone looking to move to Tampa. We’ll be showcasing our neighborhoods, businesses, organizations, other young professionals that call Tampa home, and telling lots of stories about why this city is a great place to live and work. We’ll be creating an innovative job portal, where those interested in moving to Tampa can submit their resumes without finding specific job posts, and then we’ll have quizzes they can to take to tell them what neighborhoods they should live in once they get here.